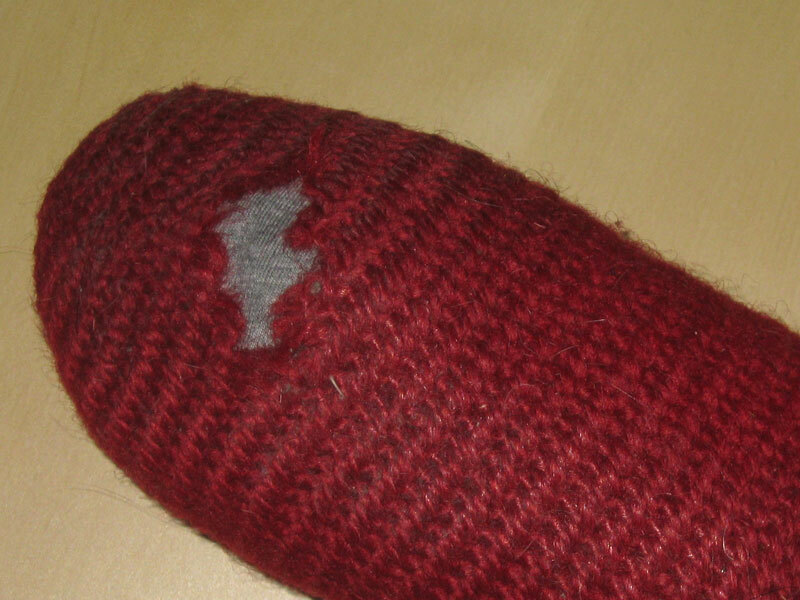 Nalbinding sock with annoying hole. 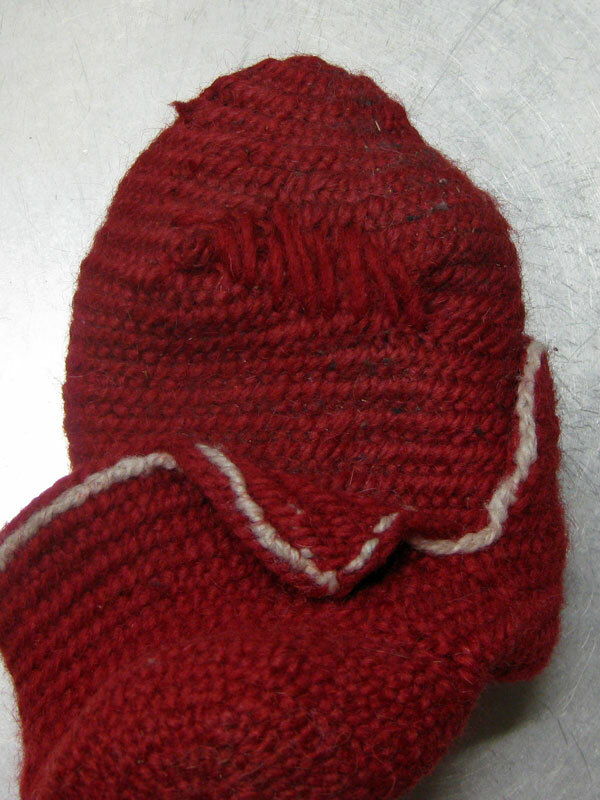 I might have mentioned a while back that mending my nalbinded socks was on my to-do list. Yesterday I gave it my first try. Wasn’t really sure how to proceed so I found some left over yarn and sewed a couple of times over the hole with big stitches. Then I secured the stitches with several knots. It became quite bulky but I figured it with even out when I full the sock. Mending stitches on the right side of the sock. Wrong side of the sock. 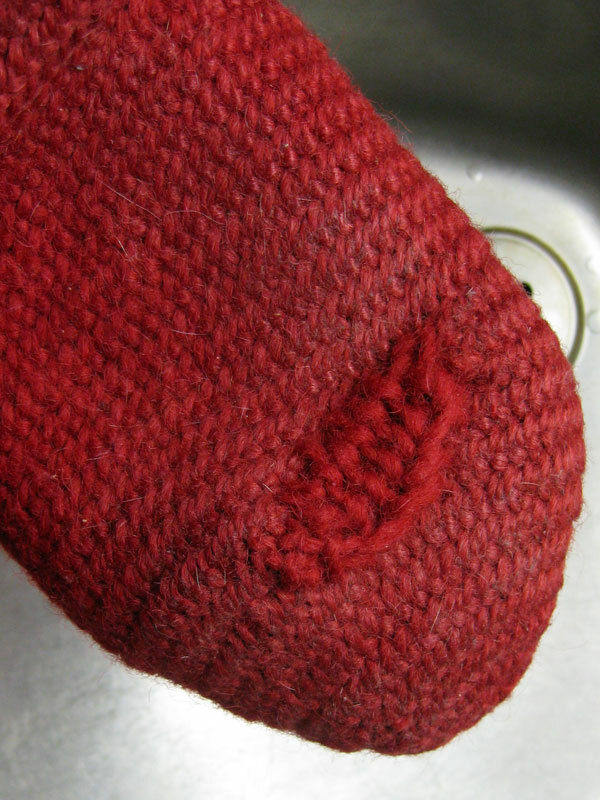 Then I fulled the sock with lukewarm water and regular Swedish soap (Grönsåpa). It definitely got a lot less bulky and more fuzzy. But I can still see parts of the stitches so I’ll probably have another go with the soap tomorrow. 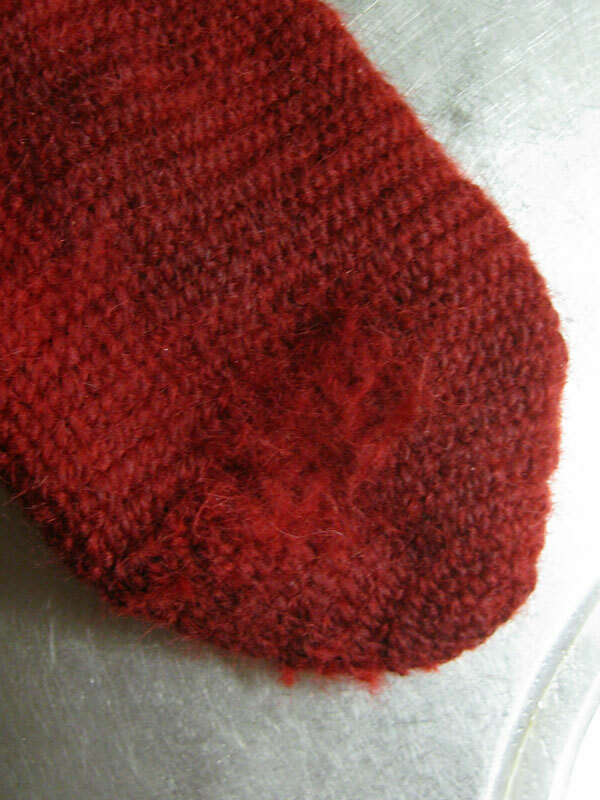 Right side of sock, first try at fulling. Annoying fact: When I looked at the sock today when it hade dried I noticed another, much smaller, hole-to-be. Bah – I’ll try to full it together without any stitches. It might work.